What is the Difference Between Russia's and US' Air Campaigns in Syria? A recent US intelligence report said that Daesh (also known as ISIL/Islamic State) is degrading. Two coalitions – one led by the US and the other by Russia – have been involved in fighting the terrorists. It is high time to figure out some differences between the two approaches. Russia, the United States, and Syria have one common enemy – the terrorist group Daesh. In September 2014, US President Barack Obama pledged to destroy Daesh with massive airstrikes. "Our objective is clear: We will degrade, and ultimately destroy, ISIL through a comprehensive and sustained counterterrorism strategy. We will conduct a systematic campaign of airstrikes against these terrorists," he said in a statement. In November 2015, Russian leader Vladimir Putin described the goal of the Russian aerial campaign in Syria — "to clear the country of terrorists and secure Russia from possible attacks." Meanwhile, he said an additional goal was to "stabilize the legitimate government and create the environment for a political compromise." The Russian task force has supported the Syrian Arab Army, which numbers between 150,000 to 200,000 personnel. According to military analysts, government forces have over 4,000 tanks (the Russian-made T-55, T-72 and the newest T-90A) and nearly 400 warplanes. The US-led coalition has provided aerial support for the Iraqi Army (800,000 personnel and 389 tanks), the Kurdish militia (70,000 fighters) and various opposition groups (40-60,000 fighters). Russia began airstrikes in Syria on September 31, at the request of Syrian President Bashar Assad. In the first 100 days of the operation, Russian jets carried out 5,600 combat sorties, with a daily average of 50-60. During the same period, the US Air Force carried out nearly 3,500 sorties. During the operation, US warplanes carried out a total of more than 65,000 sorties, with an average of 120 a day. US jets have tried to provide permanent aerial support for opposition and Kurdish forces. Russia and the US chose aircraft in accordance with operational tasks and the capacity of the available airfields. The Russian task force was deployed to the Hmeymim air base, outside Latakia, close to theater of war. Nearly 4,000 servicemen and over 70 aircraft are currently deployed to the base, including Su-30 and Su-35 four-generation fighters, Su-24 and Su-34 tactical bombers, and Su-25 ground support jets. Russian Su-30 jets landing at the Hmeymim Air Base. "These aircraft have been chosen to accomplish the assigned tasks," military expert Mikhail Khodarenok told RBK. The Su-24 can carry up to 7,500 kg of weapons, including fragmentation ballistic bombs, up to a distance of up to 560 km. The Su-34 has even greater capabilities – up to 8,000 kg of bombs at a distance of up to 1,100 km. According to the expert, in order to be fully engaged in combat, those aircraft should take off from an airfield close to the battlefield. As such, most of the Russian airstrikes in Syria have been carried out by Su-24 and Su-34 bombers. Long-range bombers, including the Tu-22, Tu-95 and Tu-160, have also been involved in the operation. Tu-22 bombers took off from an airfield in Russia’s Mozdok, while the Tu-95 and Tu-160 – from an airfield in Engels. According to Khodarenok, using the Tu-22 in Syria is not as effective as it could be. "With its maximum capacity of 22 tons of bombs, the Tu-22 cannot fly from Mozdok to Syria. It can fly with eight tons, but this is the same that the Su-24 can do," he explained. In one week, Tu-22 bombers carried out only 23 sorties. Nevertheless, according to the analyst, using strategic bombers is a good chance to show off the capabilities of all branches of the Russian Air Force. The US does not have a base in the conflict zone. Its aircraft take off from airfields in Qatar, Kuwait, Turkey and the UAE as well as four aircraft carriers of the Fifth Fleet of the US Navy in the Persian Gulf and the Red Sea. At the same time, this allows for the US to use more aircraft than Russia. During the operation, the US has deployed F-16 Fighting Falcon and F-15 Eagle jet fighters, both outperformed by the Russian Su-30. Advanced F-22 Raptor fifth-generation fighters have also been involved. This aircraft features a stealth design, supersonic cruise speeds, and super-maneuverability. 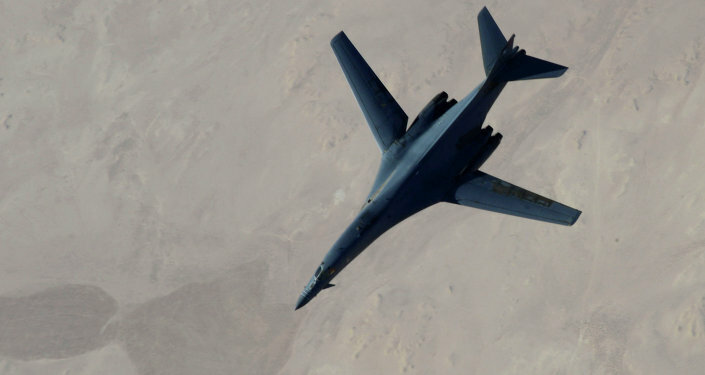 For strategic bombardments, the US has engaged B-1 Lancer strategic bombers, which have an operation range of 12,000 km without refueling. During the operation, Lancers have carried out over 5,000 sorties. 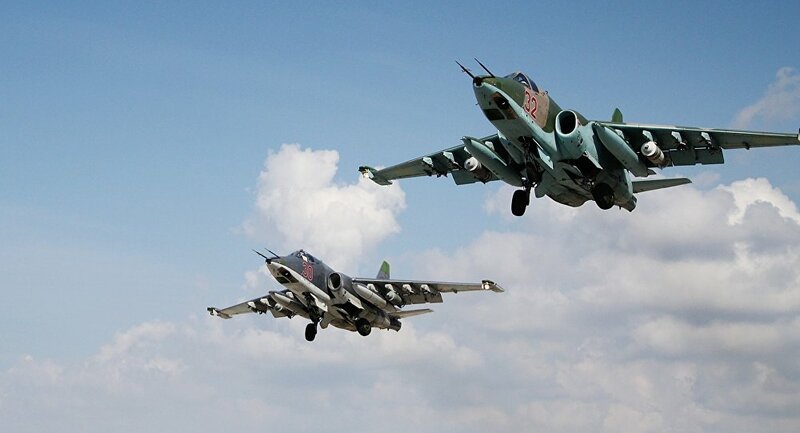 The Russian Air Force have also used the Su-25 ground attack jet. 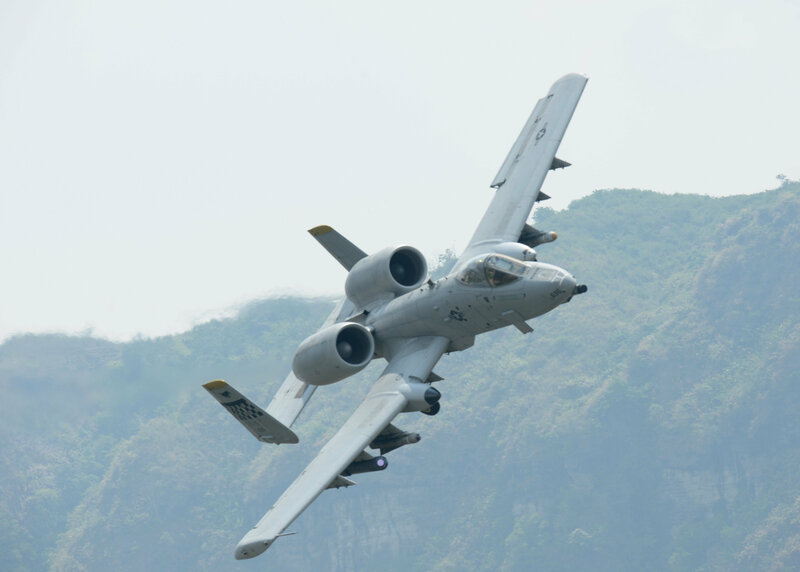 It outperforms the US A-10 Thunderbolt II in maneuverability and speed. It is more effective in areas where enemy air defenses are deployed but Daesh militants have no such weapons. The Su-25 is armed with the GSh-2-30 cannon, which, however, is outgunned by the A-10’s blazing Gatling gun. A US Air Force A-10 Thunderbolt II, originally designed to counter Soviet armor on the European battlefield during the Cold War. The A-10 is heavier and less protected than the Su-25. But the Thunderbolt II boasts greater fire power, including Maverick anti-tanks missiles and the GAU-8 Avenger 30-mm seven-barrel automatic cannon. They are more effective against enemy personnel and equipment on the ground. A-10 jets have carried out over 7,000 sorties in the operation. 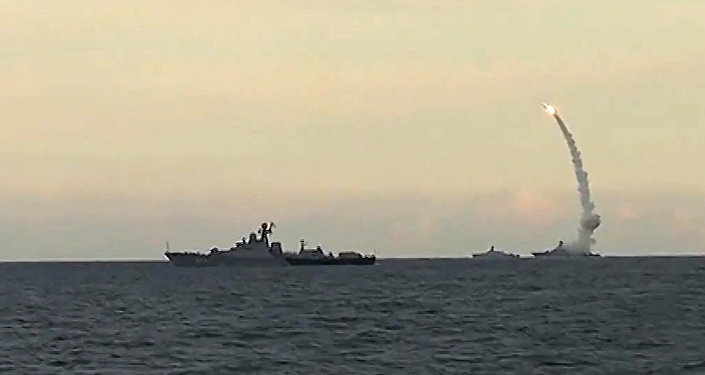 The aviation and air base in Syria is protected by a naval task force led by the Varyag missile cruiser. The unit also comprises the Dagestan missile, the Grad Sviyazhsk, Uglich and Veliky Ustyug small missile ships of the Caspian Flotilla as well as the B-237 Rostov-on-Don submarine of the Black Sea Fleet. Reconnaissance is carried out by the fleet’s equipment and by the Vasily Tatischev reconnaissance ship. Russia has also launched ship-based cruise missiles against Daesh during the operation. In October 2015, warships of the Caspian Flotilla fired 26 Kalibr cruise missiles at 11 militant targets from a distance of over 1,500 km. A month later, another 18 missiles were launched against Daesh. The submarine also fired four missiles against Daesh targets. A total of 48 missile launches have been reported in the operation. Two US aircraft carriers have fired 47 missiles during the operation. 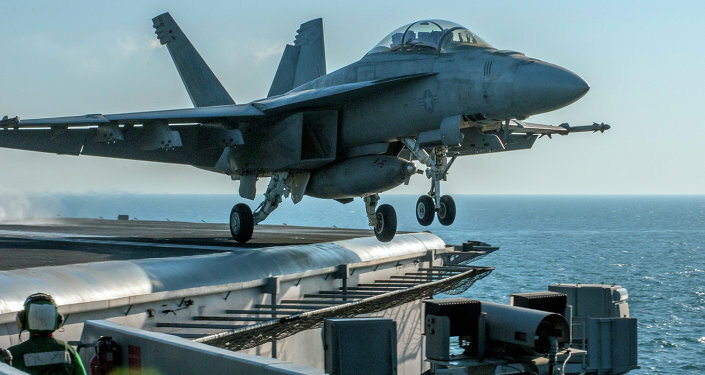 The USS George Bush and Carl Vinson alongside the Arleigh Burke destroyer and the Philippine Sea missile cruiser have provided for the take-off and landing of F/A-18F Super Hornet multirole jets in the conflict zone and launched Tomahawk cruise missiles at Daesh targets. The Kalibr cruise missile is one of the newest and advanced Russian weapons. They entered service in 2005 and were never used in combat before the operation in Syria. In comparison to the Tomahawk, the Russian missile has a more powerful payload and increased range and accuracy. However, in terms of missile launches in Syria, direct comparison between Russia and the US is not correct, Khodarenok pointed out. "Until recently, Russia did not have non-nuclear means for coastal attacks. But having them in service makes the country a privileged military power," he underscored. At the same time, the Tomahawk launches cannot be considered notable since the missile has been used in combat for over 20 years. According to the Pentagon, the US has spent nearly $11.4 million a day for their operations against Daesh in Syria and Iraq. The entire operation has cost $5.8 billion. As a comparison, the US spent $2.5 billion on the war in the Persian Gulf in 1991. The Russian military has been able to conduct its operations at less of a cost. According to an RBK analysis, one day of the military operations in Syria costs Russia nearly $2.5 million, totaling $225-300 million for the entire operation so far. There are several factors that make the US operation more costly than the Russian campaign. These are military bases remote from the conflict zone, F-22 Raptor expenditures (with a cost-per-flight-hour of $68,000), and Tomahawk launches from the Red Sea ($74 million). At the same time, the US-led coalition has lost only one drone during the operation. It was shot down by Syrian government forces. In addition, one US soldier has been killed. The Russian Air Force have lost a Su-24 bomber (it was shot down by a Turkish jet on November 24) and its pilot was shot dead from the ground while parachuting down. During a search-and-rescue operation a Russian marine was also killed. On January 26, a military training center in Homs came under mortar fire. A Russian military adviser was killed in the shelling. There are two different ways the Russian Defense Ministry and the US-led coalition report on the results of their operation. The Russian military emphasizes the number of destroyed targets and liberated areas. On January 15, Chief of the Main Operational Directorate of the General Staff Sergei Rudskoy told journalists that 217 populated areas had been liberated during the operation or nearly 1,000 sq km of territory. In turn, the US coalition usually publishes data on the number of destroyed militants. As for January 2016, over 22,000 Daesh terrorists were killed in northern Syria and Iraq. Meanwhile, the Russian Defense Ministry has not published information on the total number of terrorists killed. At the same time, the Russian campaign has helped the Syrian Army and its allies launch a country-wide offensive against Daesh and al-Nusra Front militants. Government forces have already taken control over a number of strategic areas across the country. According to a report by HIS Conflict Monitor, as for December 2015 Daesh’s "caliphate" has shrunk by 14 percent, mostly in northern Syria and Iraq.